Email marketing is an incredibly powerful tool, but often it is not used to its full extent.Many companies do not see the need to innovate beyond imitating the good ideas from competitors, or simply those responsible are so engrossed in the day-to-day that they cannot find time to experiment. Here we explore how to design a program for sending effective emails. A good marketing strategy should go beyond the first impact. To go from not knowing your brand to becoming a loyal customer, a user must go through multiple contacts through various channels. Throughout this trip, email retargeting can be a very valuable ally when you are approaching the conversion. How I can improve my email-sending program? The visible elements of an email such as videos or symbols and the number of products displayed are just the tip of the iceberg. They are very easy to copy and can seem very simple ... but as the true icebergs, the important thing is beneath the surface. If you want to make a real difference with your email program, it is time to analyze and take advantage of your database to define your strategies. It is a mine of information that your competitors do not have access to: they simply cannot imitate you because they will not know what you're doing and how. For example, how about consumption data across different products to cross-sell or offer your customers real-time content based on their proximity to a physical store? 1) Do not let the creativity be random. When designing an email, you should consider analytical factors such as the stage of the sales cycle of the customer, the action you want them to do (a purchase? a download?) And how they can take that action (through your page web, phone, in person...). While aesthetics are important, do not forget that the ultimate goal is to achieve results. 2) Align the creativity and segmentation. Again, it is important to be strategic when designing creativity. The design of each email should fit snugly to the target, the time it is sent and the intended result. 3) React quickly. Making quick decisions and implementing them will give you an extra edge over your competitors. With proper strategy, you can use your program sending emails to communicate with your customers almost in real time; for example, if you just your book a flight online with a travel agency, you can suggest hotels for those dates. 4) Improve your results with smaller campaigns. Or, in other words, "divide and conquer". Small email campaigns, segmented according to the interests and actions of users, often do better than large ones. 5) Find the perfect moment. It is not enough evidence to make general shipping time: you need to adapt to each location and each consumer. Tools like AudiencePoint, or even your own email delivery program can help you achieve it. What is email retargeting? We are facing a cookie-based tool that records the user's behavior on a site. Thus, when a user subscribes to our mailing list and visits our website, the system records this visit and sends a personalized email based on the actions taken (popular products, beginning a process of purchase, etc.). This system can greatly increase the effectiveness of newsletters, which become messages fully adapted to the needs and wishes of the user. Email retargeting makes a difference when it comes to getting your email marketing campaigns to be really effective. If you have an online store to sell your products, this tool can help eliminate one of the most common problems of ecommerce: the abandoned shopping cart. Another possible strategy of email retargeting is to set the cookie in the email itself, so that when the user opens it, the cookie records this action and launches a campaign banners that only appear to users who have opened the mail. The drawback of this approach is that it is possible that it doesn’t work on users who have installed adblock. Recovery of abandoned shopping carts. Many users leave the website somewhere in the middle of the buying process, after providing their email. In these cases, it may be a great idea to send them an email to remind them that they have a pending purchase. The type of messages can be, "Have there been any problems with your order?" Or "Can we help you with something?" These are usually very well received. Creating customized newsletters depending on user behavior on the web. For example, if one of the products you have seen has fallen in price, we can send an email to remind you. We can also adjust the frequency of communications depending on your activity level. Product recommendations. Throughout our relationship with the customer, we will obtain extensive data on the type of products that most interest you. We can use this information to send personalized emails recommending similar or complementary products to those that have already bought products. So, getting a conversion will be much easier than through a generic newsletter. 1) A user visits your site and fills out the form to subscribe to your mailing list. 2) Your name and contact details are automatically added to your email tool. 3) Create a series of custom emails to convert the user into a customer. 4) Send an email introduction first and measure the answers: has the user opened the email? Have they clicked on any of the links? Have they visited the page? 5) Depending on the results of step 4, you can now create custom emails for any situation and continue to interact with your potential customers in every step on the way to conversion. 6) Depending on the following interactions, you can classify users into categories to offer specially tailored series of emails. 7) Step by step and email to email, users are consuming your content until they are ready to become customers. 1) Customize your campaigns based on searches made by the user in Google and other search engines. 2) Personalization based on the products that they have seen, the actions they have taken or have left off (for example, abandoning a cart). 3) Create different campaigns as the channel through which users have come to your website. 4) Go specifically to users who are active and interact with your emails, perhaps to offer some sort of reward or special offer. 5) Go to users who have visited a site affiliated with yours and which is centered on similar issues. 6) Create a specific campaign for individuals who have interacted with online games and applications of your brand. 7) Focus on users who consume similar content to the customers of your brand. Shipping costs are too high. You want to know the final amount, but are not ready to buy. The user wants to make a shopping list to buy at a later time. The online store does not offer the desired payment method. Some external factor interrupts the user before he or she can finish. What which step was the process abandoned? If the problem is the shipping, maybe we can offer a discount. Is it a repeat purchase, or a first time customer? What product or products were in the abandoned cart? What was the total value of the order? Is it enough for shipping to be free? According to a study conducted in April 2015 on ten major fashion brands in Spain, the retail sector is lucky when it comes to email marketing: the open rate of emails is 22.3% and click is 6.14%, spectacular figures when compared with other sectors. In addition, email has the highest ROI of all channels: obtaining $28.5 of benefits for every dollar invested. 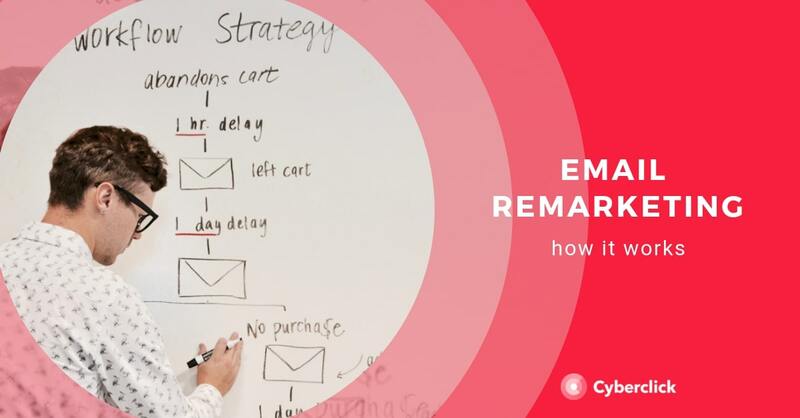 However, it is clear that the retail sector is not exploiting the possibilities of email retargeting, as none of the ten brands studied had a recovery strategy for abandoned carts. Customization reached even the most basic aspects of email: only 2 of the 10 brands using the user name, a very simple technique that increases both open rates and interaction. In conclusion, if you manage an online store in the fashion industry, you have a very easy way to get ahead of the competition by retargeting. Do not miss this opportunity! Studying International Business at Warwick Business School. Inspired by Social Entrepreneurs.